Mental health wards should be staffed adequately to be able to provide patients with safe, high-quality care. This is particularly important in a time of increasing acuity and reduction in the number of inpatient places available for patients. It can be helpful to use workload tools to plan staffing levels effectively for mental health inpatient wards. This article provides a review of the different types of workload tools available and the evidence about their use in mental health settings. 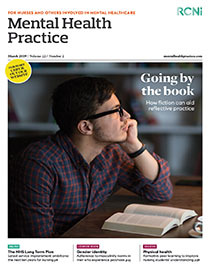 The authors outline some areas that need further development, including the nature of professional judgement and how it can be used in practice, the concepts of missed care and nurse-sensitive indicators, and issues about how to prepare staff to use workload tools.